Investors who want to put their money in a pooled investment fund will find that the list of options is quite long. There’s regional against global, active against passive, bonds against equities, established manager against start-up, and so on. But investors often overlook one choice: open-end versus closed-end funds. There are certain situations when this becomes a most important issue. Like when an investor wants the funds invested in illiquid assets such as real estate, small capital or specialized credits. A closed-end fund might be the more legitimate choice. Portfolio managers usually run both open and closed-end funds with the assistance of analysts. Both types of funds try to lessen security-specific risks for investors. They do this by holding diversified investments, by having lower investments and reducing operating costs by pooling investor funds. Open-end funds maintain cash reserves in order to satisfy redemptions. However, closed-end do not have this requirement so they do not keep a cash reserve. Because of this, they are able to invest in illiquid stocks, securities or markets such as one focused on real estate. Closed-end funds may charge additional fees via wide bid-ask spreads for illiquid funds and volatile premium/discount to NAV. As for their primary features, open-end funds provide more security while closed-end funds boast of a bigger return. Open and closed-end funds are not new in the investment world; they have been around for ages. In fact, closed-end funds trace their roots as far as the 19th century. Diversification. Very much like open-ended funds, CEFs may lessen the risks of investors through diversification. CEFs invest in a wider range of varied companies, markets, and industries. This is quite difficult to do for an individual investor because it would entail building a portfolio of many different investments. Professional Management: Professional fund managers oversee both open and close-ended funds, ably supported by a team of financial and market analysts. Together, they conduct in-depth research on the investment options where they put their funds in. Very few individual investors can match the time, expertise and resources that these fund managers put in. After all, it is their full-time job to look for new opportunities and track current investments. Economy of scale: Pooled investments considerably has a lower the cost of funds compared to that of an individual investor’s. This is the natural result when the fund managers source and combine funds then buy and sell securities in large quantities. In addition, they simplify exacting activities like bookkeeping, tax calculations, value computations, etc. for the common investor. Number of shares. A close-ended fund has a fixed number of shares. On the other hand, an open-ended fund can issue any number of new shares and redeem any existing share. Pricing. Since CEF shares trade on an exchange, their prices fluctuate during the day. Like any commodity that is dependent on the law of supply and demand, the prices may rise or fall. They may trade at a substantial discount or premium to their net asset value. In contrast, shares or units of a mutual fund do not trade on an exchange but the price is on a per-share Net Asset Value (NAV). NAV is computed as the fund’s total TOT + 1.13% net asset value divided by the number of outstanding shares. They calculate the fund’s NAV at the end of each trading day. Restrictions. 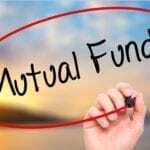 Mutual funds have more restrictions than CEFs when it comes to factors like leverage and liquidity. It is normal for CEF managers to use leverage as their investment strategy. Of course, they can only do this within the strict parameters of regulatory limits. Since CEFs do not maintain cash reserves or meet redemptions, they are more flexible to invest in non-liquid stocks, securities or markets. Yes, both open and closed-end funds are in the alternative asset classes but each has its own benefits and drawbacks. When it comes to objectivity in valuing the portfolio, closed-end funds have a major advantage. During the asset-gathering process, fund managers purchase the underlying investments. Upon dissolution of the fund, the fund managers sell these underlying assets. Because of this process, it is easy to establish the rate of return based on market prices. Investors can use this rate of return to determine how much they’ve made. It can also help compute whatever incentives the investment manager would be entitled to. The pre-determined timing of purchases and sale of assets can be a disadvantage for a closed-end fund. The fund manager buys assets over a specified time period and is therefore constrained by the prevailing valuations during that time. Because of this, the market conditions affect the entire portfolio by making it either over or undervalued depending on the market circumstances. The investment manager must deploy all committed cash during a certain time. This may result in chasing underlying investments. An ideal scenario would be to have enough time and patience to find assets that best meets the investment manager’s criteria. Another similar timing issue happens as the closed-end fund concludes and the manager returns the cash to investors. First of all, he needs to sell the assets within a certain time and current investment environments will definitely affect them. Even if the valuations are not ideal and sometimes unfavorable, the fund manager has no choice but to sell. Second, counterparties who may be interested in the assets would know the current situation – including the pressure on the fund manager. They could take advantage of this during the negotiation phase, particularly when the time is about to run out. Lastly, if the fund manager sells the assets too early, clients will have to look for replacement investment opportunities. Open-end funds do not have the same timing pressure in relation to purchasing or selling assets. This gives the fund manager a freer hand to decide when to buy or sell. He can focus on the projected valuations and portfolio construction without having to consider deadlines. The main downside of the open-end fund is the reliability of asset valuation for those who are purchasing or selling units. When an investor purchases units of an existing fund, he receives proportional ownership of its current assets. Their price would depend on a subjective valuation because there are no available objective market prices for these assets. This means that the investor must just rely on third parties who provide appraisal or valuation services. Since the assets of the funds are, by their nature, long-term, there is a need for a reliable valuation. This is done while investors are also buying and selling units of the funds at the same time. Because the funds hold assets with a long maturity and with no liquidation date, the funds match better with long-term liabilities. These are more common in pension funds and insurance companies. Closed-end funds make available for investors definite investment period and their entry/exit dates. Fund managers also provide investors with important return data culled from actual purchases and sales. Open-end funds provide investors with more strategic flexibility. They can add or liquidate investments according to their investment situations. They also allow long-term matching of assets to liabilities and open venues for a more diverse purchase and sale valuations. Alternative assets have become popular lately, but many investors do not know much what investment vehicles can access them. What Should Investors Choose: an Open-End Or Closed-End Fund? Investors really need to analyze what appropriate vehicles would meet their investment objectives. This means they should move from looking at what is common to what suits them best. The rule is that investors should choose between open-end and closed-end funds primarily on the basis of their underlying asset type. Open-end products may provide a safer option than closed-end funds but the closed-end funds might give a higher return. This is because it combines both dividend payments and capital appreciation. Investors should always compare individual products within an asset class. In some cases open-end funds may be riskier than some closed-end funds. Read More: GE v Merck – Which stock is the better investment For 2018? For those moving into the investment mainstream, some choices might be better. For example, in a liquid market like developed economy large-cap equities, an established large open-end fund would be very good. It spares investors the fluctuating premiums and discounts of closed-end funds. It is also large enough that it avoids issues like cost attribution but it may not have leverage capability. On the other end, closed-end funds are better for underlying assets such as real estate, frontier markets, and low-grade credits. These are, or at risk of becoming, illiquid assets because of the potential issues described above.